And now that we are officially in the Holiday season, it is time to make Christmas cookies!! Making Christmas cookies with my kids is one of my favorite things to do during the Holiday season. 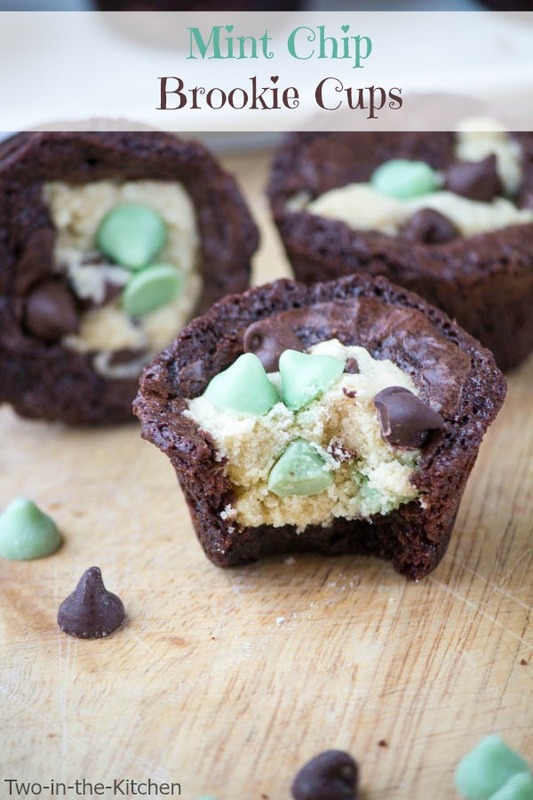 And these Mint Chip Brookie Cups couldn’t be any easier to make with your own kiddos! And wearing Flirty Aprons while you bake makes the cookie making experience even more fun! 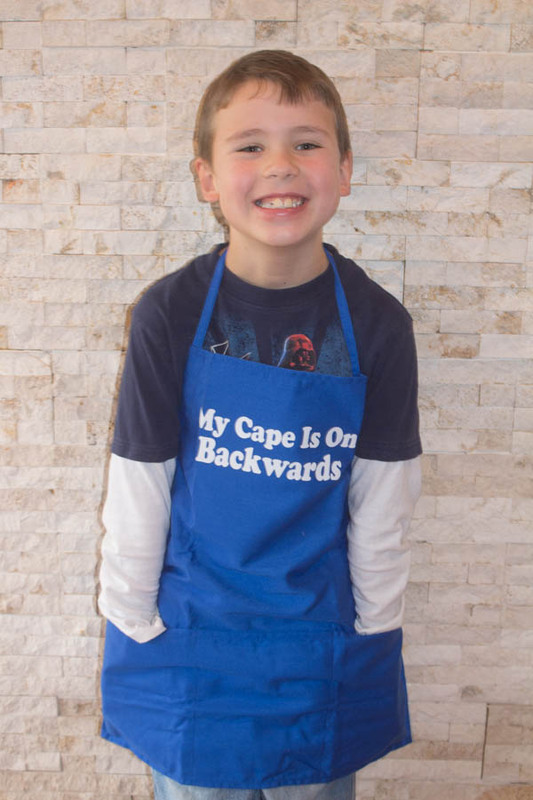 A few weeks ago, I let all my kids pick out a Flirty Apron of their choice on-line. When they arrived in the mail a few days later, my kids had the BIGGEST smile on their faces! 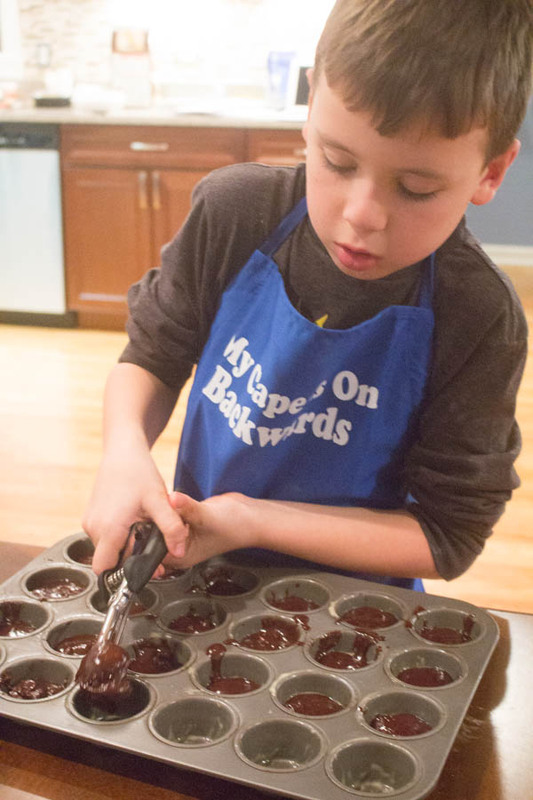 Now these Mint Chip Brookie Cups are so easy to make that my seven year old son Alex could really do it by himself with minimal supervision from me. I love watching my kids as they carefully measure out their ingredients and stir with the outmost care. Oh, and there is daddy in the background fixing himself something to eat after work. We are always in the kitchen together!! When kids are in the kitchen, there is always going to be a bit of a mess. But so what? That is part of the fun right! And with Flirty Aprons , you can protect your clothes while making a mess! I love my Flirty Apron , which my son Alex picked out for me. He said, “mommy will look pretty with a pink polka dot bow” 😉 – I swear, I could just eat him up sometimes!! It is just so fun baking cookies with my children. Sure I could make them quicker myself, but where would the memories be? And there is just something about wearing aprons together that add another element of fun to the experience. Don’t you think these Flirty Aprons would make a great gift for the holidays? Or you could even get them right away so you can start making some kitchen memories with your kids. Check out their website here . They always have a deal of the day and they will arrive at your house in just a few days! 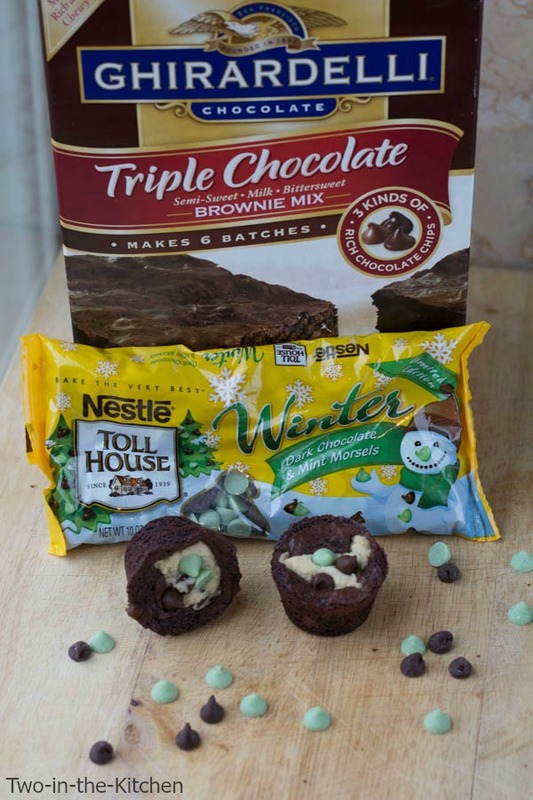 These Mint Chip Brookie Cups start with a simple Ghirardelli brownie mix. And as you see, after Alex mixed up the batter, he is now using a small cookie scoop to drop the batter into a mini muffin pan. After this you will make a simple cookie batter, and use the same cookie scoop to drop cookie batter right on top of the brownie batter. We then put a few mint chips on top of the cookie batter so they will show all pretty after they are done baking. See how the brownie portion bakes up around the cookie dough portion? It really couldn’t be easier to have the best of both worlds! 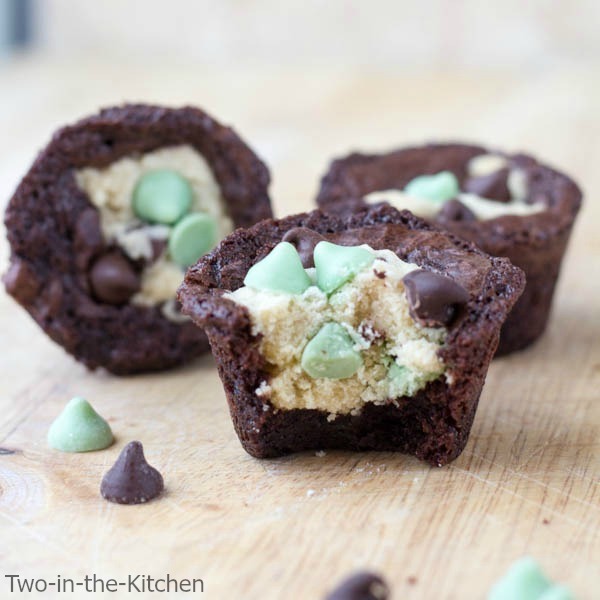 These Mint Chip Brookie Cups are a little bit brownie, a little bit cookie, and come together in a snap! I have joined a group of blogger friends to give you a lot of great Christmas cookie ideas. Check out all the other recipes below! In a large mixing bowl, cream together the butter, and two types of sugars until blended. Add egg and mix. Add flour mixture in two or three additions and mix thoroughly until blended. Stir in mint chips by hand. Mixture will be thick. Remove from the oven. Press two or three mint chips in the top of each brookie. Allow to rest in the pan for ten minutes, and then using a knife, carefully loosen the brookie cups from the tin and allow to cool on a cookie rack. Makes approximately 30 brookie cups. 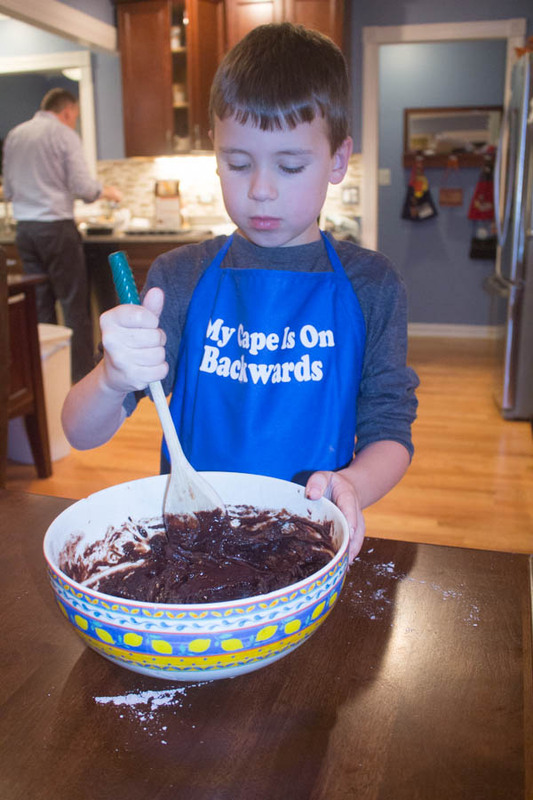 I LOVE your son’s apron. I have to get one of those for my husband. 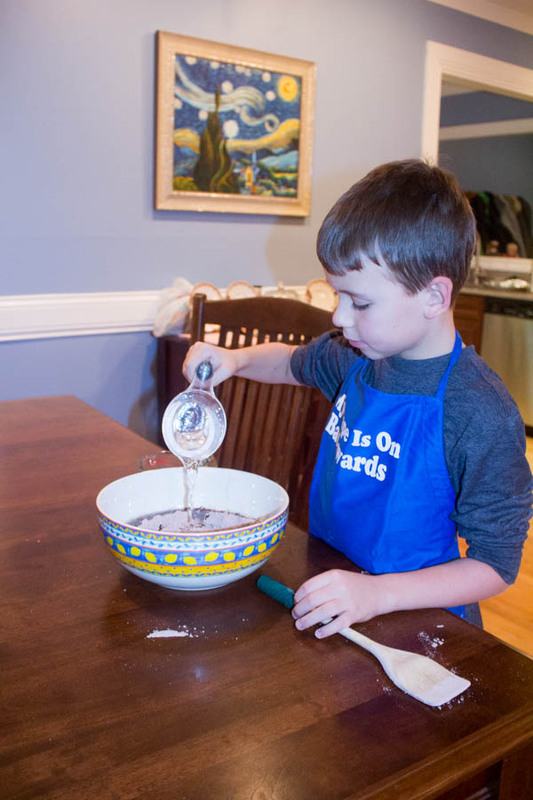 It’s always good to see kids getting involved with cooking. The photos of your son (and you) are adorable! 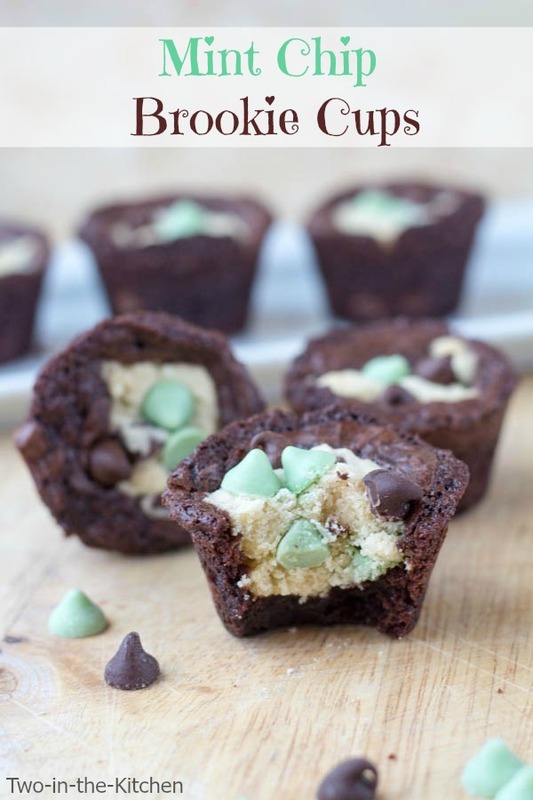 These brookie cups look delicious, too — I love chocolate and mint! 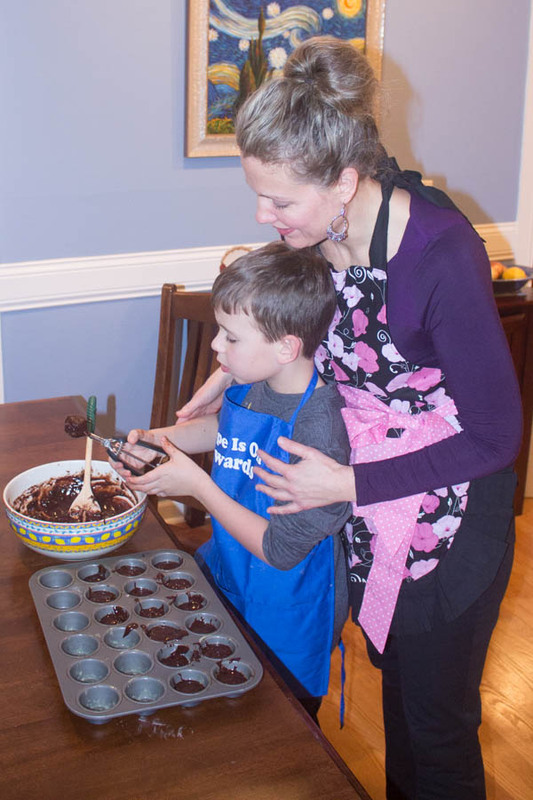 These brookie cups look incredible, Renee! I love the mint flavor. 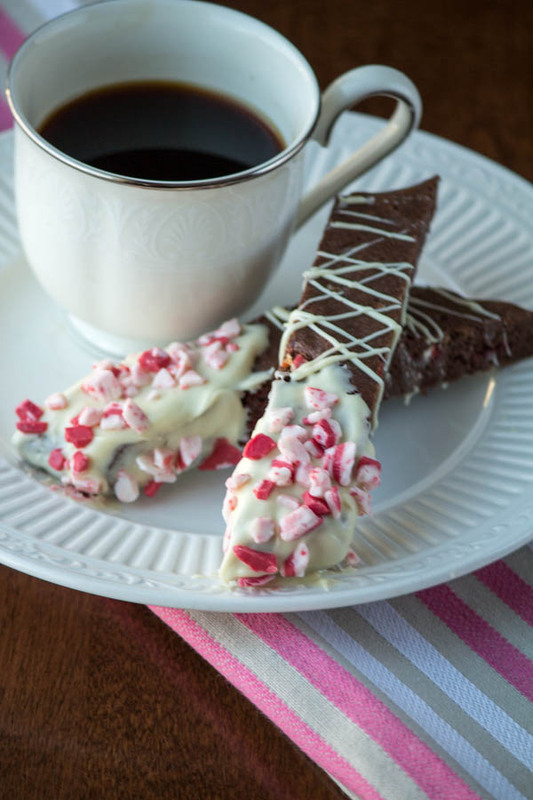 Such a fun dessert to kick off the holiday season! 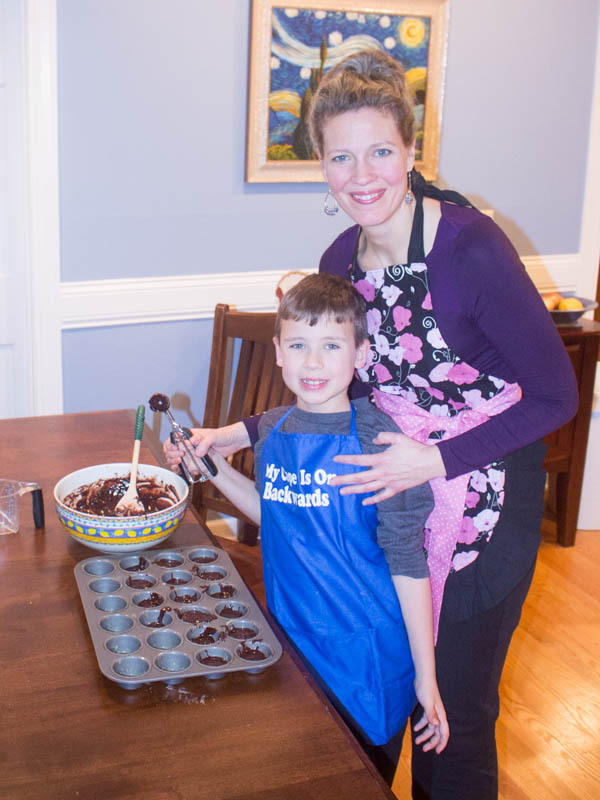 Aaaw, I love seeing how much fun you have baking with your kids 🙂 Your son did an awesome job! These brookie cups look amazing! 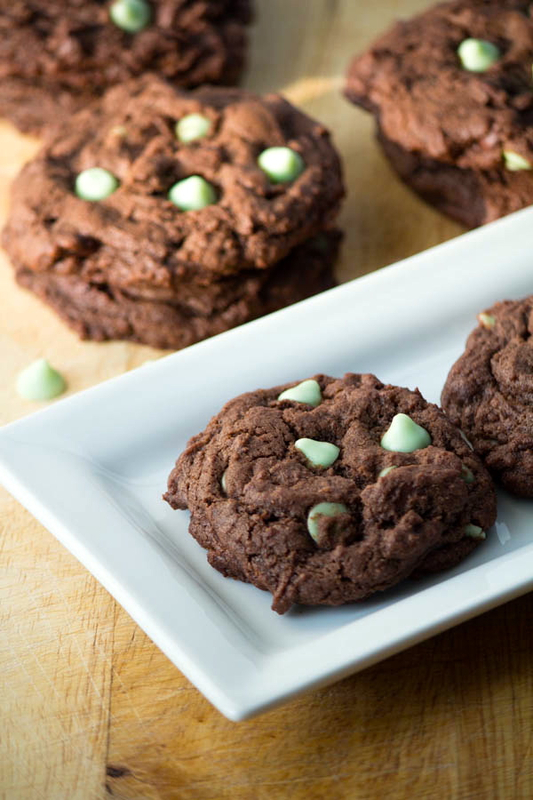 Love the chocolate and mint combo – they’re perfect for the holidays! These look so good – very tasty and festive! You can’t go wrong with chocolate + mint. I love the word “brookie” too. These look sssooo good Renee! And, I love the photo of the two of you – so cute! I love seeing kids in the kitchen! Your son is adorable!! and I love these mint chip brookie cups!! Alice @ Hip Foodie Mom recently posted…Black Friday Giveaway!! $50 Gift Card to Amazon.com! 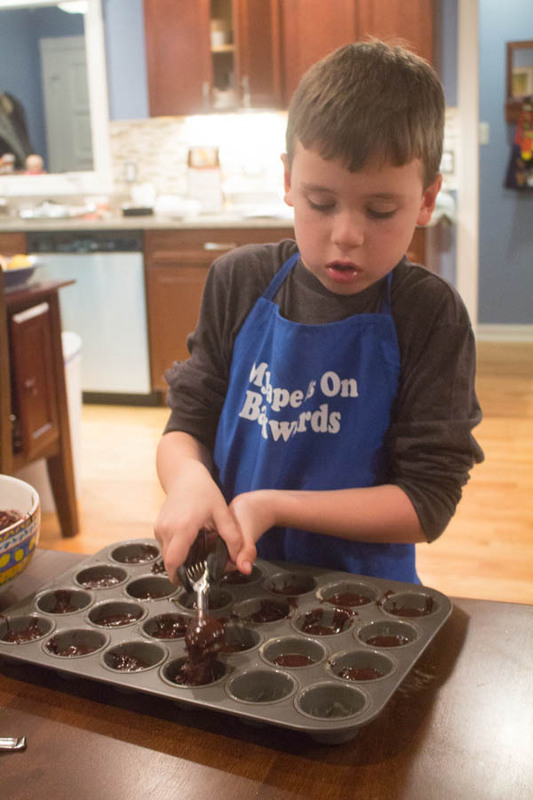 Those brownie cups look delightful and easy to make! I’m going to add those to my cookie list for the holidays. cute little treats, love it Renee! 🙂 Pinned of course! The photos of your son are so cute. I must admit the mint and chocolate combo is my favorite. I love how you get the kids involved and that it’s one of your favorite things to do. 🙂 Love the mint and chocolate combo and these look deeeeelicious! I LOVE mint chocolate! These looks great! Thanks for linking up with Show Stopper Saturday!